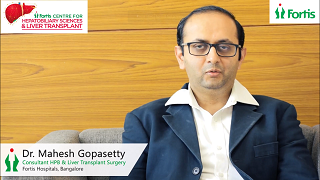 Dr. Mahesh Gopasetty is a renowned Transplant Surgeon with over 15 years of rich experience in Hepato-Pancreato-Biliary and Liver Transplant Surgery. 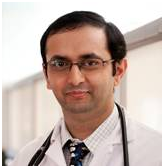 He completed his under graduation and post-graduation from Kasturba Medical College, Manipal and was awarded a Gold Medal for being the best outgoing post-graduate student in the department of general surgery in the year 2002. He has worked in UK for three years where he also obtained his MRCS in the year 2007. He then moved on to USA to pursue training in Transplantation with a Fellowship in Abdominal Multi-organ Transplantation from The Medical University of South Carolina (MUSC), Charleston (2008). In 2009, he moved to University of Pittsburgh Medical Center (UPMC), Children’s Hospital of Pittsburgh (CHP) to train in Paediatric Multi-visceral Transplantation. Prior to joining Fortis, he has worked in Apollo Hospitals, BG Road from 2010 and has been leading the Liver Transplant Program for the last three years. Fellowship in Paediatrc Multivisceral Transplantation (Pittsbourgh). His key areas of interest and expertise include Living Donor and Cadaveric Donor Liver Transplants; Paediatric Liver Transplants; Small Intestine Transplants; Complex Liver Transplants; Portal Hypertension Surgeries; Kidney & Pancreas Transplants and Complex Pancreatic Surgeries. Dr. Mahesh holds a rich experience of more than 1600 Liver Transplants (Adult & Paediatric) and more than 100 Small intestine Transplants.